Utah Realtor and longtime Park City resident Scott Maizlish, of Summit Sotheby’s International Realty, lists the top five reasons to live in Park City. No other mountain town has so much to offer, and the proximity to Salt Lake is unrivaled. It’s an easy getaway. In fact, Park City is located just 35 minutes up I-80 from Salt Lake City International Airport. From the world-famous Sundance Film Festival to world-class skiing, Park City has something for everyone. In fact, in 2016, Park City was named “America’s Favorite Town” by Travel + Leisure. “It truly is a world-class destination,” said Realtor Scott Maizlish, of Summit Sotheby’s International Realty, who specializes in the finest homes in Park City's multi-faceted communities. No. 2: Schools. Park City has 13 quality schools. According to Zillow, one of the highest rated schools is Park City High School, which is rated 8. 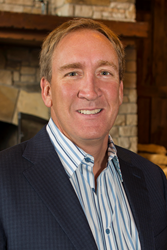 Scott Maizlish is part of the most influential network of luxury real estate buyers and sellers in the world. Scott specializes in the finest homes in Park City communities and resorts, such as Park Meadows, Deer Valley, Vail Resorts, Empire Pass, The Colony, Promontory, and the Montage. For more information, please call (435) 901-4309, or visit http://www.scottmaizlish.com.